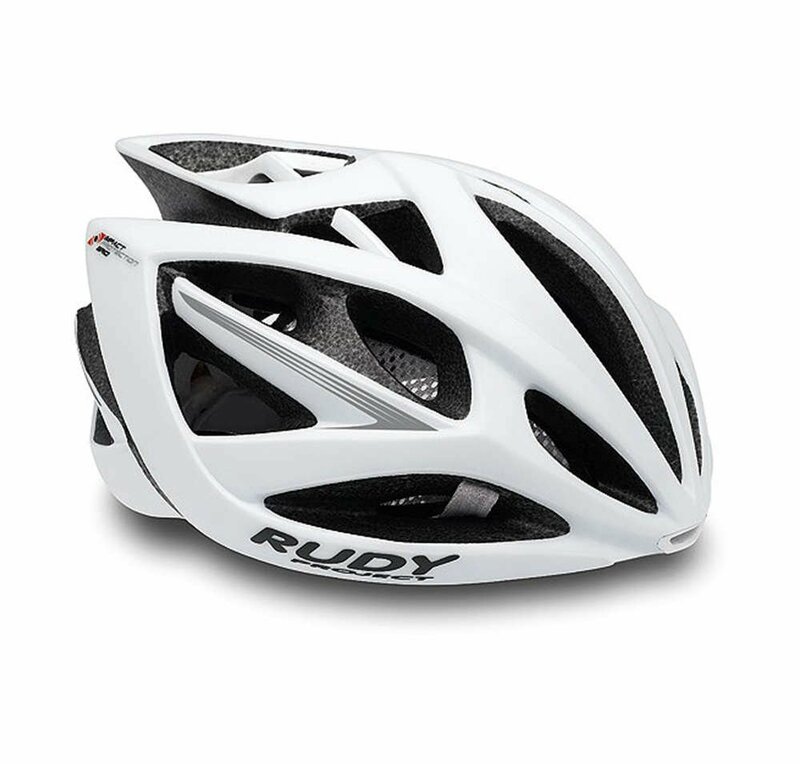 21 vents allow maximum flow-through ventilation in the newest cycling helmet from Rudy Project, the Airstrom. Incredibly lightweight, easily adjustable and sharp looking - these are all defining characteristics of this highly crafted helmet masterpiece. Included road visor, bug stop net, interchangeable padding and the removable comfort head ring all allow this performance head gear to push your game over the limit. The Fastex™ system consists of a simple and quick snap-lock buckle for securing the throat strap which is ergonomically shaped and ensures perfect regulation and maximum stability. Rudy Project has created helmet systems that are adjustable on the nape of the neck. They can be adjusted to 3 positions in the case of Head Ring 3, and to 2 positions in the case of Head Ring 2. These mechanisms allow you to adapt the height of the retention system to your individual morphology and fit the helmet to your head securely. All over the world, individuals of different races have different physical characteristics and personal morphology. Thorough analysis of the various different types of heads and helmet ergonomics has allowed Rudy Project to optimise the caps of its cycling and mountain bike helmets and so we are able to satisfy the fitting requirements of all individuals and ensure top-level comfort and stability. The visor is a useful accessory which protects the face against knocks and scratches caused by impacts with branches and other sharp objects and acts as a shield against sunrays, so that you have an optimal view of the terrain at all times. Almost all Rudy Project helmets have a light, removable visor which, as well as making the helmet safer, also adds an aggressive look. A critical design element every athlete should consider when choosing a new helmet is its cooling and venting. Excess heat that is generated during intense training or racing in bright sunlight must be effectively dispersed, or fatigue will surely set in and raise the possibility of “bonking.” As the name implies, the Airstorm was engineered for maximum airflow via its 16 front vents and 6 rear extractors. The internal crown architecture has also been specially shaped to create grooves which channel the flow of hot air outwards and dissipate heat.